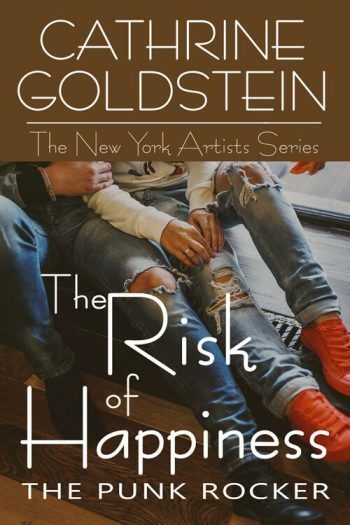 The Wild Rose Press and author Cathrine Goldstein are unveiling the cover to THE RISK OF HAPPINESS, the third book in the New York Artists series, a new adult contemporary romance, releasing January 21, 2019. See below for information on the book and series and a link to add it to your Goodreads TBR. Bad boy punk rock star Reale Lynxx never expected to see his ex-girlfriend, Amanda Simmons, again. And after she’d stomped on his heart and walked out on him six years ago, he’s not so sure he wants to. Certainly Reale never imagined he would rescue Amanda and her son, Johnny, from drowning. But all it takes is one evening with her and Reale is ready to leave the past behind and try again. Thank you so much for hosting the cover reveal for, The Risk of Happiness: The Punk Rocker on your beautiful blog! Thank you so much for hosting the cover reveal for, The Risk of Happiness: The Punk Rocker! My pleasure!! Hope it’s a fabulous success for you!